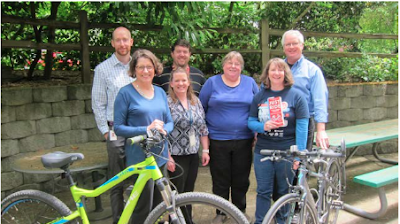 May was Bike Everywhere Month and the Lake Forest Park and Riders Team had seven team members riding this year. Since 2009, the City of Lake Forest Park has participated in Bike Month. It is one of the events included in the City's wellness program, which in turn helps reduce health insurance costs. The team members were able to log a total of 789 miles for the month, with Court Clerk Grant Cogswell riding an outstanding 347 miles!